Barry County is a county located in the southwest portion of the U.S. state of Missouri. As of the 2010 Census, the population was 35,597. Its county seat is Cassville. 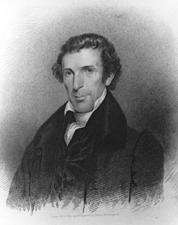 The county was organized in 1835 and named after William Taylor Barry, a U.S. Postmaster General from Kentucky. According to the U.S. Census Bureau, the county has a total area of 791 square miles (2,050 km2), of which 778 square miles (2,020 km2) is land and 13 square miles (34 km2) (1.6%) is water. Roaring River State Park is located in the southern part of the county, amid the Mark Twain National Forest. As of the census of 2000, there were 34,010 people, 13,398 households, and 9,579 families residing in the county. The population density was 44 people per square mile (17/km²). There were 15,964 housing units at an average density of 20 per square mile (8/km²). The racial makeup of the county was 94.09% White, 0.11% Black or African American, 0.86% Native American, 0.27% Asian, 0.03% Pacific Islander, 3.25% from other races, and 1.38% from two or more races. Approximately 5.04% of the population were Hispanic or Latino of any race. 26.5% were of American, 15.5% German, 11.7% English and 10.4% Irish ancestry. In the county, the population was spread out with 26.10% under the age of 18, 7.80% from 18 to 24, 26.10% from 25 to 44, 23.90% from 45 to 64, and 16.10% who were 65 years of age or older. The median age was 38 years. For every 100 females there were 98.30 males. For every 100 females age 18 and over, there were 95.60 males. All of Barry County is a part of Missouri’s 158th Legislative District in the Missouri House of Representatives and is represented by Scott Fitzpatrick (R-Shell Knob). All of Barry County is a part of Missouri’s 29th District in the Missouri Senate and is currently represented by David Sater (R-Cassville). All of Barry County is included in Missouri's 7th Congressional District and is currently represented by Billy Long (R-Springfield) in the U.S. House of Representatives. Voters in Barry County from both political parties supported candidates who finished in second place in the state at large and nationally. Former Governor Mike Huckabee (R-Arkansas) received more votes, a total of 2,396, than any candidate from either party in Barry County during the 2008 presidential primary. ^ Eaton, David Wolfe (1916). How Missouri Counties, Towns and Streams Were Named. The State Historical Society of Missouri. p. 205. This page was last edited on 11 November 2018, at 18:26 (UTC).